Filtech Fabrics is specialized in offering a broad variety of wet and dry filtration fabrics and checking products and fabrics. With years of experience in finding solutions for clients, we have a deep understanding of the different types of filter medium, checking and straining products, as well as familiarity with making filter cloth, bas and belts to go with almost any process tool. This background of modernization is helped by our in-house study and regional technical help. We also provide complete fabrication abilities to match the requirements of our clients’ personal filter processes and tool — everything from stitching, periphery treatments, heavy-work closure welding and heavy-work stitching to clipper introduction, laser cutting, eyelets and bag blueprint. We are the most trustworthy name amongst the topmost organizations in this business, associated with manufacturing and supplying filter fabrics and bags. These filter cloth and bags are produced by using the best quality raw substance, taken from the authentic and trustworthy seller in the market. These are produced employing Non Woven and Woven Filter medium. These are highly valued in industries such as chemicals, beverages, food and various others. We have fixed an area amid the most trustworthy names in this trade, involved in providing complete variety of Filter Cloth to our clients. As filter cloth trader, we provide Filter Cloth produced in fulfillment with fixed industrial rules by employing greatest quality cloth and newest technology. In addition, we make sure to timely send this product according to clients’ choices. By having the abilities of our capable team of experts, we are included in offering Nylon Filter Cloth. This Nylon Filter Cloth is strictly checked on various quality constraints beneath the stringent observation of highly capable quality supervisors. 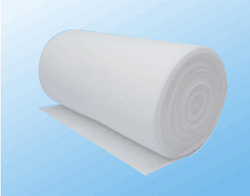 As Nylon filter cloth supplier, we provide this artifact at the most competitive rate. This is verified on strict quality considerations to make sure good filtration competence, temperature conflict and extended service life. We put forth our huge industrial knowledge and specialty in this business, helpful in offering a broad range of Polypropylene Filter Cloth. Provided Polypropylene Filter Cloth is broadly needed for its extraordinary finish and feature. In addition, we check our complete variety strictly in tandem to make sure that there is no imperfection left. Filtech Fabrics provides a variety of frivolous to heavy duty filter fabrics to optimize your filter press procedure. As component of our filter press accomplice offering, these filter cloths are present in a complete variety of synthetic and usual fibers and are woven or felted as per your solid or liquid division needs. Selecting a filter cloth producer is based on a lot on the type of application you require the filter for. A good seller should inquire you immediately what type of job you are doing, but just in condition they do not succeed in doing that, remember that there are two key applications: air and fluid. You will require clarifying this detail before purchasing your substances for successfully completing the task at its best, and prospectively, most lucrative method. 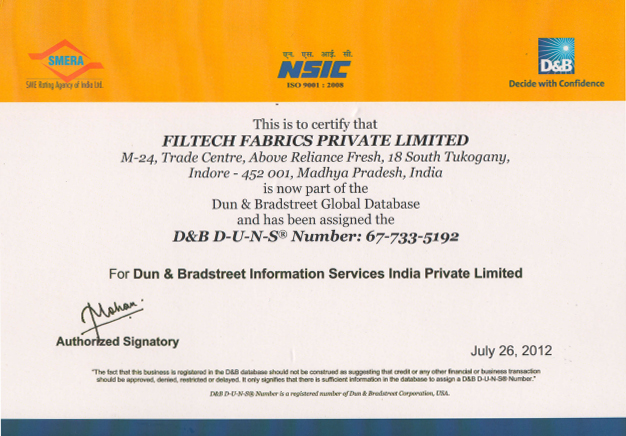 Filtech Fabrics, a private limited company, is engaged in manufacture, export and supply Industrial Fabrics.